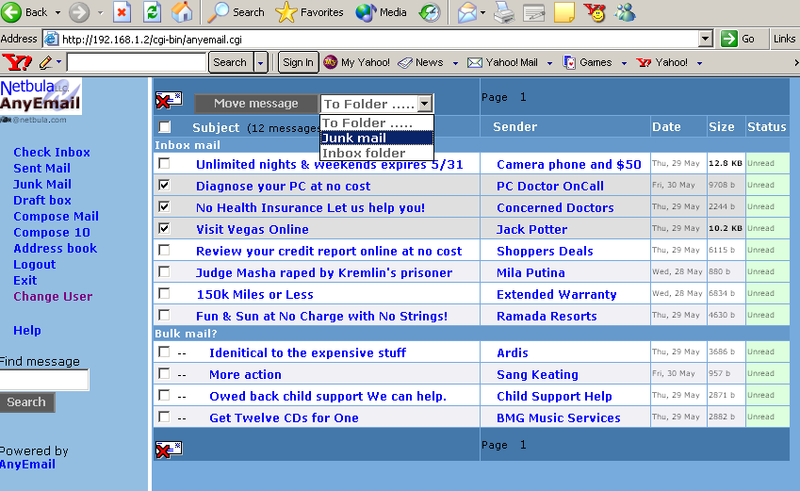 Can send email to anyone using any of your email accounts, including attachments. Small disk usage. 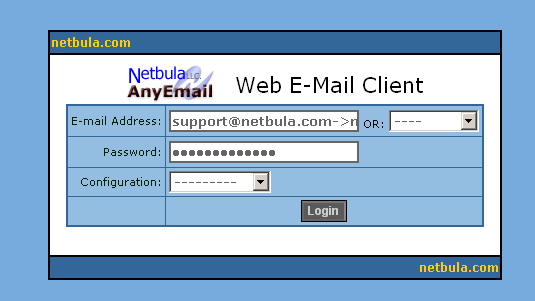 AnyEmail does NOT store emails on the web server. 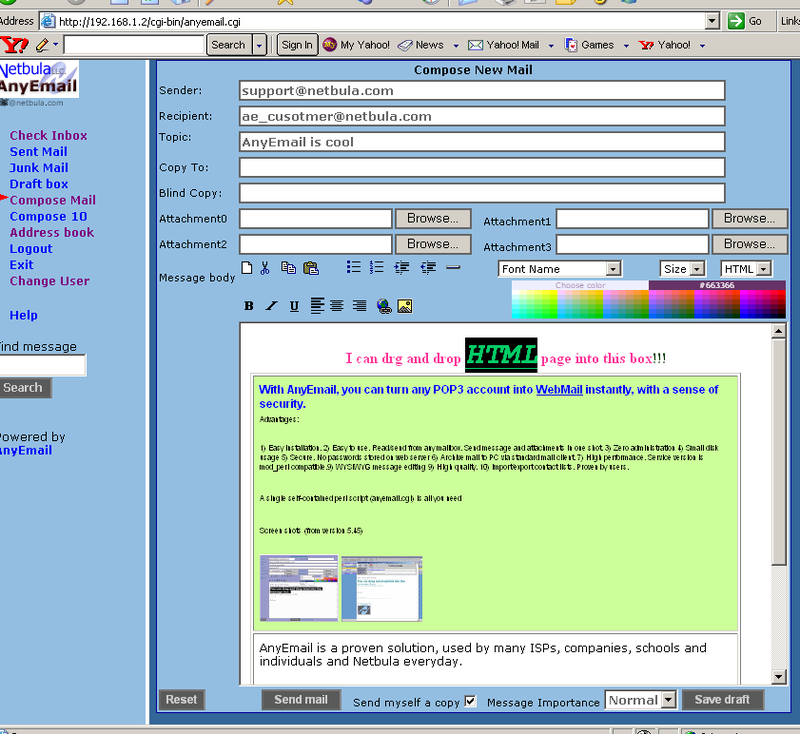 Can use SSL (secure socket layer), just use https to access the CGI script, and your email is secured. This is a great protection when your e-mail may be intercepted between the web server and your browser. Multi-configurable. A single script can be running different configuration files, which can specify completely different parameters, such as SMTP server and look & feel UI parameters.